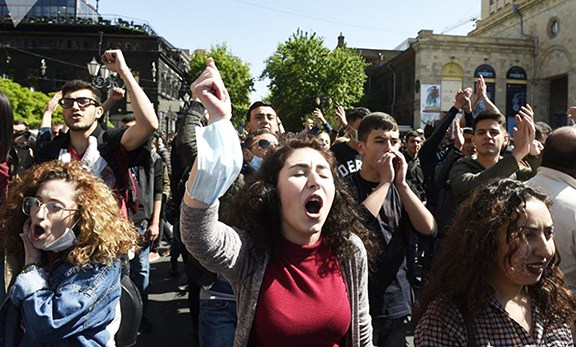 WASHINGTON–Placing profit over human rights, the Chief Executive Officers of five top defense firms have urged Congress to block a measure calling for U.S. affirmation of the Armenian Genocide, reported the Armenian National Committee of America (ANCA). However trade statistics from the Organization for Economic Cooperation and Development tell a different story. Turkey’s trade levels with countries, which have recognized the Armenian Genocide since 1995, have increased between 24% and 351%. U.S. trade with Turkey has increased ten-fold since President Ronald Reagan cited the Armenian Genocide in a Presidential Proclamation in 1981. Spearheaded by Representatives Adam Schiff (D-CA), George Radanovich (R-CA), and Frank Pallone (D-NJ) and Mark Kirk (R-IL), the Armenian Genocide Resolution H.Res.252, calls upon the President to properly characterize the annihilation of 1.5 million Armenians from 1915-1923 as genocide and to ensure that the foreign policy of the United States reflects appropriate understanding and sensitivity concerning issues related to human rights, ethnic cleansing, and genocide. Secretary of State Hillary Clinton had supported similar legislation. I am glad I dont own stock in lockheed,boeing,raytheon,north grumman,united tech.They should be a investigation of illicit business practices,and how much taxpayers money they have cheated the U.S. Gov.in the past years.Send all the execs over to turkey,where they belong,if they can stand the putrid smell of each other.